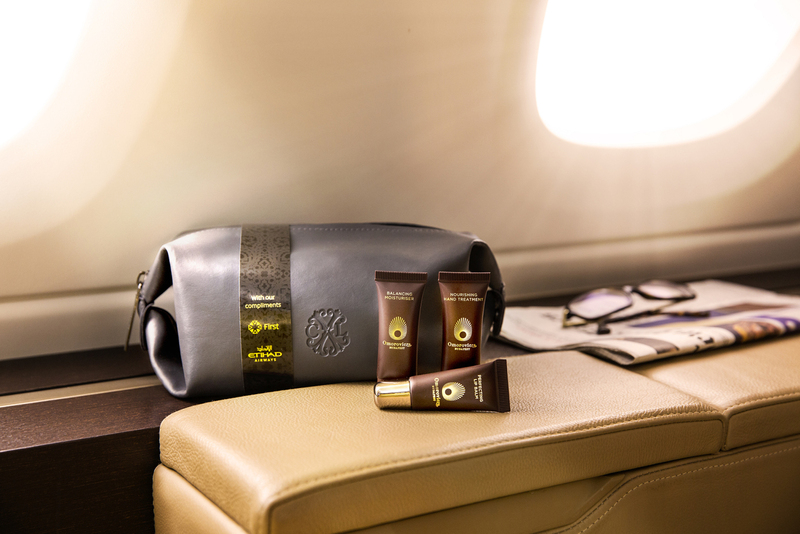 Etihad has unveiled their new first class amenity kits that will be added to all current A380 routes (London, New York, Sydney Melbourne and Mumbai) and will eventually be rolled out fleet-wide by early 2017. 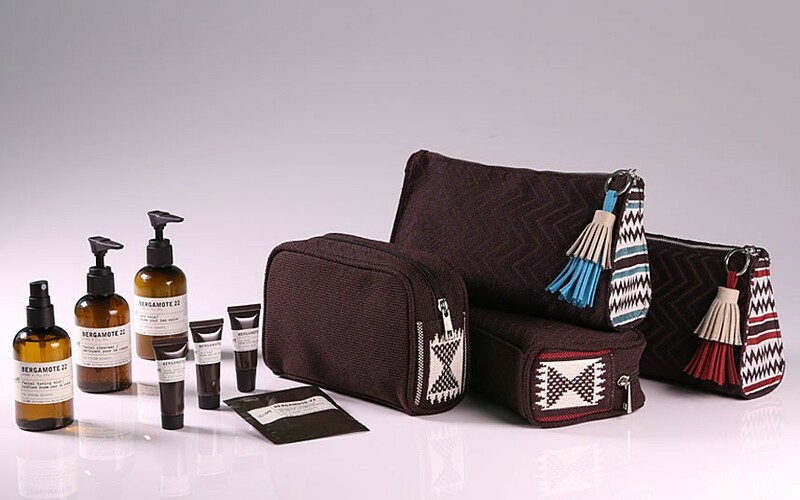 Etihad has chosen to go with fashion designer Christian Lacroix and Hungarian skincare brand, Omorovicza replacing their previous Le Labo which I found to be awesome. The kits come both in a women’s and men’s style and contents vary. 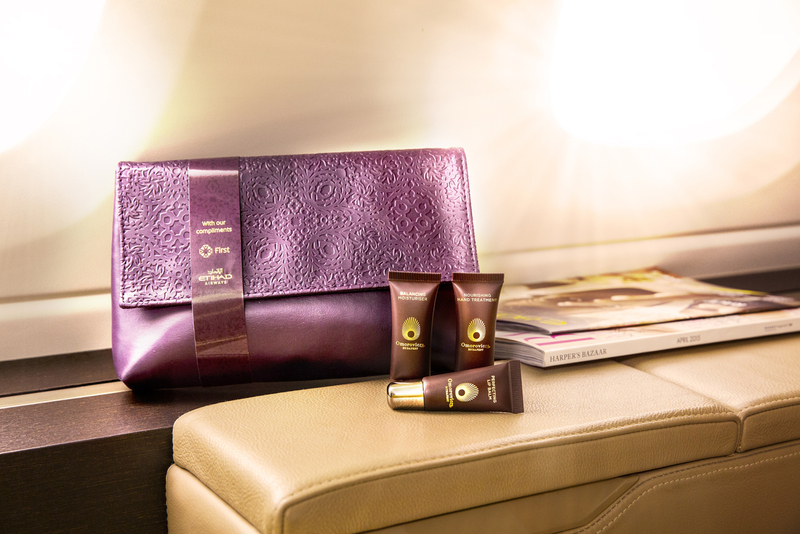 The inflight essential products include a perfecting lip balm that soothes and nourishes dehydrated lips; a facial moisturiser with cooling gel-cream that absorbs instantly and provides long-lasting hydration; a nourishing, lightly scented hand treatment; and a refreshing cleansing wipe. I’m quite impressed with the new kits but always loved the original Le Labo products. 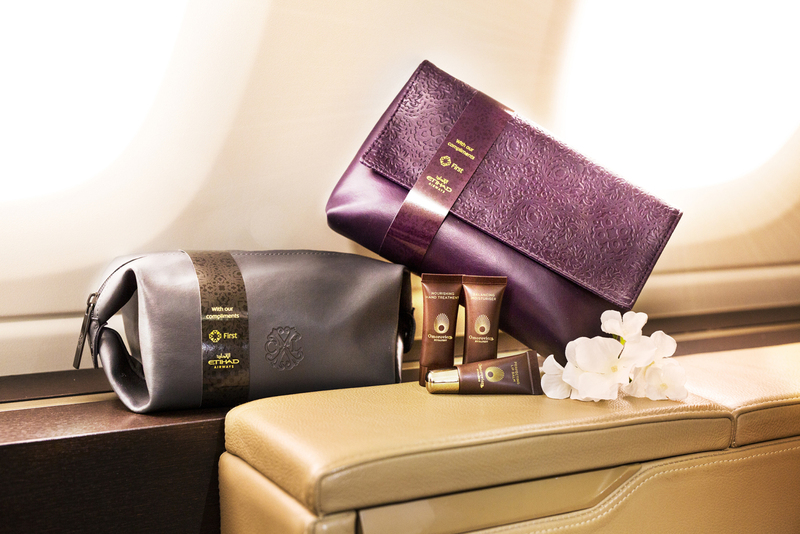 I’m flying Etihad first again in a few weeks so I’ll grab some and might do a giveaway. Next Next post: Coming Up – Virgin Australia Long Haul Business Class + More!